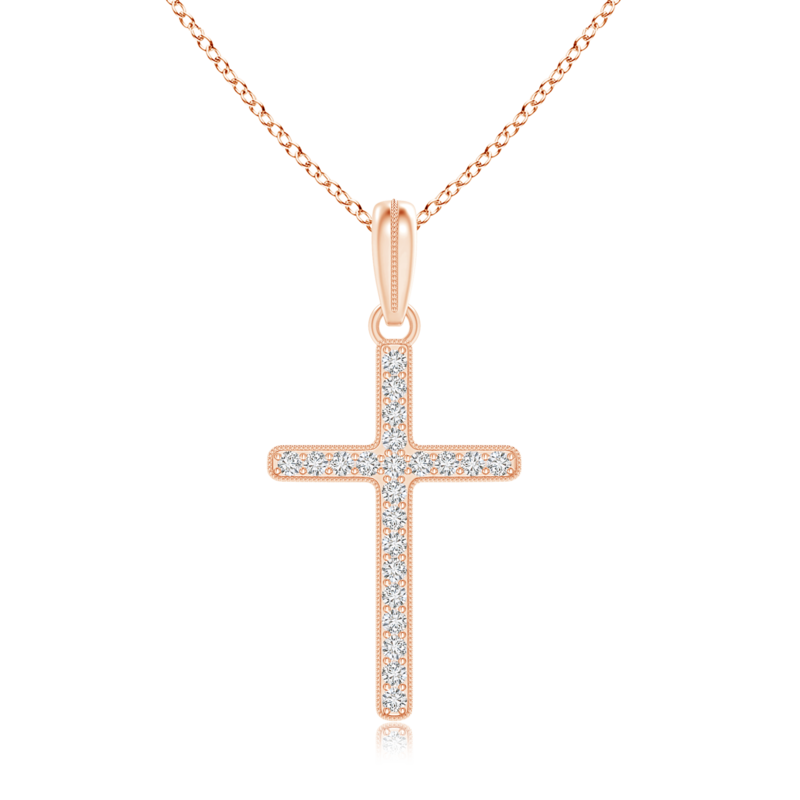 This flawlessly crafted cross necklace, encrusted with incandescent lab grown diamonds, is a stunning symbol of belief. The pave set, eco-friendly diamonds cluster together and adorn the frame of the cross with their sheer brilliance. Uplifting the charm of this diamond dangle necklace is the intricate milgrain detailing that embellishes the entire silhouette and infuses a distinct vintage charm. An awe-inspiring beauty in 14k white gold, this cross pendant is a statement of refined luxury.